They are coming. They are coming to take you away, and they remain ever vigilant as they endeavor towards that end. I cannot tell you who “they” are, where they want to take you, why they want to take you there or even who “you” are. I cannot tell you, because I do not know, which makes the prospect of evading their surveillance and slipping away from their grasp all the more terror-inducing. 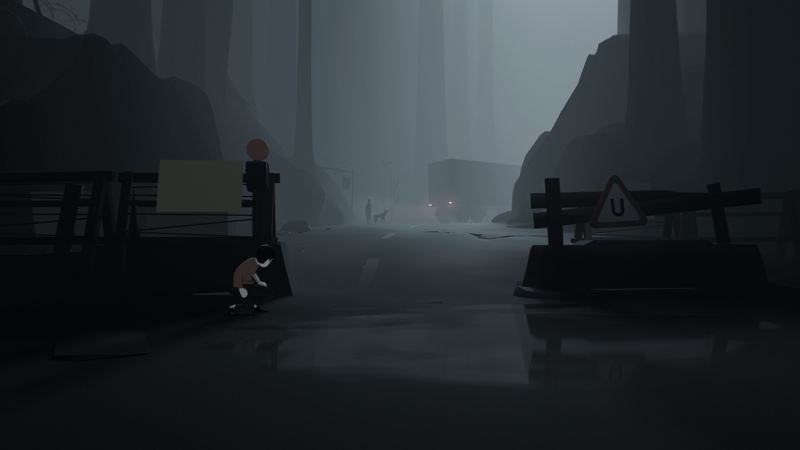 Inside opens when a seemingly lost boy appears in a dark forest, a scene that seems remade from Playdead’s last title, the critically acclaimed Limbo. 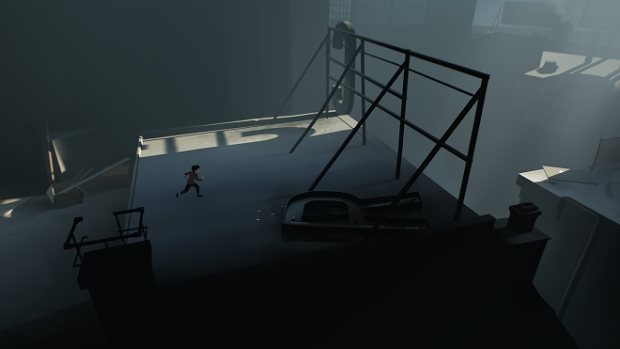 Though both are macabre puzzle-platformers, Inside quickly goes its own way when a search party with nefarious intent begins actively pursuing the boy. Despite having played through the entire game and ruminating on it for almost a day, I still don’t have hard answers as to who “they” are or what they want from the boy. I have some ideas, and I don’t doubt that the game has some answers — certainly there is a healthy mix of clear and subtle hints. But what these clues definitively say about the boy’s pursuers and their intentions will have to wait until gamers can dig in and analyze every detail to the Nth degree. And Inside will doubtlessly attract that kind of devoted fan, because it is equally mysterious and excellent. After about six years of waiting for Playdead’s second game, the only letdown is that, as with all games that tell a cohesive, linear story, it is a finite experience. Its puzzles and level designs are so intelligently crafted, and its often-disturbing mysteries are so intriguing, that you’d likely wish for more Inside content even if it were twice as long as it is. When it’s over, you’ll agonize over why the atrocities encountered were being inflicted. You’ll want to know what sort of vile group of men could do such things and for what purpose. And then you’ll likely want to put yourself through the whole thing again in hopes of finding more answers, and doing so would be well worth your time. What wouldn’t be is reading this review — at least, not yet. Stop right now and go buy and play through Inside, and then return here later. Playdead’s latest is best experienced without gleaning anything about specific details before you pick up the controller, so do your future self a favor and go in as fresh as possible. Not obvious, intuitive — The most obvious path to overcoming obstacles in a side-scrolling platformer is to immediately head from left to right, usually as quickly as possible, but that’s not always the best or even a possible option in Inside. I repeatedly died trying to get past a man with a flashlight and a gun riding a pick-up truck through the forest in which the game opens. My natural assumption was that I just wasn’t moving fast enough, and the fact that another shady figure was quickly pursuing me from behind further fueled this assumption. There couldn’t possibly be time enough to hide and wait out the armed man in the truck before the guy behind me could catch up, could there? As it turned out, there was in fact just barely enough of a window to pull this off, but doing so required a suspension of the fear of being caught, and that’s something easier said than done. Yet, after sneaking by, it made complete sense that of course you’d hide rather than attempt to sprint past an armed man in a motor vehicle. This one moment, though, sets up an idea of challenging but intuitive progression that Playdead manages to continue layering on more and more, even as the environments you find yourself in grow ever more preternatural. Puzzling, but rarely frustrating — This approach to game design applies not just to simple traversal but to puzzle solving as well. There were many times when I’d come across a puzzle and not initially be able to make any sense of it whatsoever, but somehow almost none of them made me want to throw my hands up in frustration and walk away from the game. With almost every puzzle encountered, it wasn’t long before an inkling of a solution became clear and immediately made complete sense when it did. Inside‘s puzzles are challenging and will make you think, but they’re never infuriating, and even the most difficult ones seem completely logical once solved — while still somehow making you feel smart for applying some common sense and taking advantage of the basic laws of physics. Bizarre horrors — I’m not going to tell you exactly what sort of freaky deaky things you’ll encounter in Inside, because I’m certain most of you ignored my warning to play the game before reading my review (I know I would have), but there are some twisted sights to be seen here, and almost none of them are achieved via blood and gore. 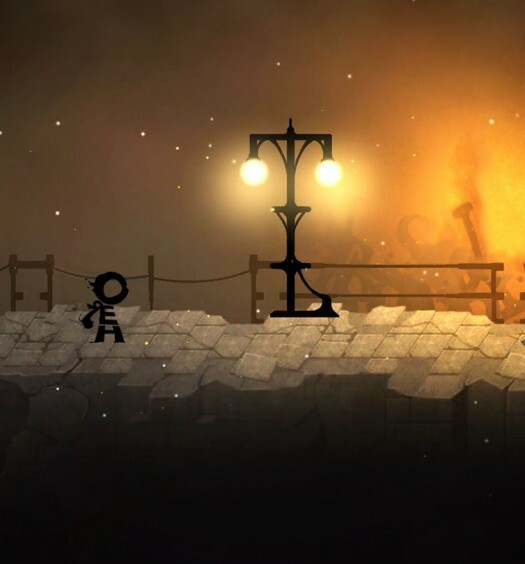 As in Limbo, player death can be gruesome, and it can feel especially harrowing because the boy emits no screams of terror. He just dies, silently having his jugular ripped out, his lungs filled with water or his limbs separated from his body. There is a definite shock value that hits you the first time you witness each of these animations. But the real terror comes from your surroundings: they will freak you out. More often than not these horrors are just kind of there, meaning there is no huge buildup complete with creepy music telling you how to feel. Their design and mere existence — again, usually sans blood and gore — are enough to give you the willies. 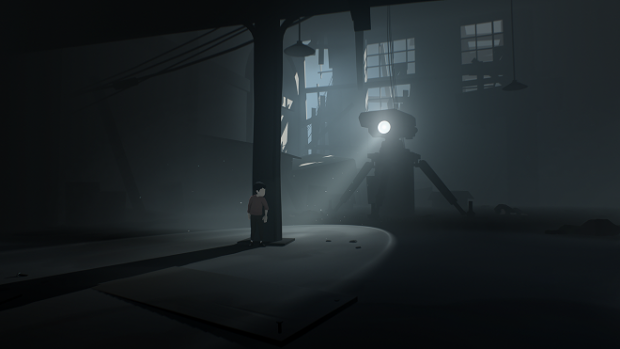 Just a lonely boy — Loneliness is a clear theme of Inside‘s. This boy has for some reason been cruelly abandoned and left to fend for himself in a world full of greedy adults. They’re all so obsessed with their unnatural experimentations that they didn’t bother giving a second thought to the old warning against not doing something merely because you can. Even when encountering other beings who assist the boy, you never really feel like someone is there with him. They are not sharing this experience with him. The eerie quiet that accompanies your journey through cavernous warehouses, an abandoned farm, some sort of dystopian processing center and other locales ensures that you never feel anything other than completely alone, even when you’re clearly meant to know that you’re being watched by human eyes. More than once after overcoming some fresh new hell, I stopped playing for a moment to reflect on the fact that this little boy had once again steeled himself against something frightening and summoned the courage to survive. I thought about how I wouldn’t have been this brave as a deserted child — and I don’t know that I would be as a grown man either. All good things must come to an end — In the waning seconds of Inside I felt a different sort of dread than I’d experienced over the handful of hours it had taken to get that far. No longer afraid of the unknown horrors that might lurk ahead, I began to fear what wasn’t just beyond: more of the game. Without revealing what happens, it’s sufficient to say that gameplay dramatically changes direction towards the end, as Playdead pulls out one last extraordinary trick just when it’s starting to feel like you may have seen everything the studio has to offer. However, it’s clear this new direction can’t go on for long, and, sure enough, this section and the entirety of the game is over before you know it. This worried me for two reasons: I had so many unanswered questions, and I’d never get to enjoy any part of Inside again for the first time. Just a few weeks ago at E3, ID@Xbox Director Chris Charla anointed Inside as one of the best games he’d ever played. Any such statement is always going to be wildly subjective, but I’m inclined to believe he was speaking true. 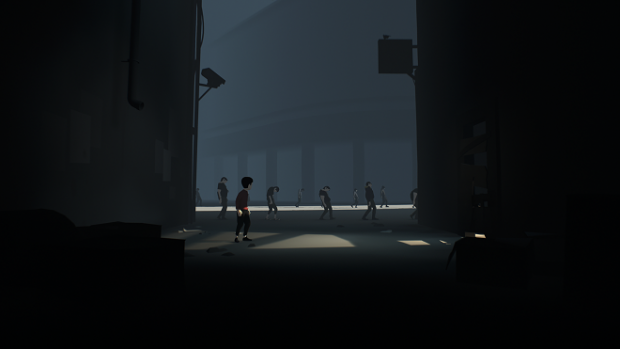 Playdead has made something great here, and there will be few who disagree with that statement. I need more time to reflect and to see what secrets the gaming community at large unearths that add more color to my picture of Inside before putting it on my list of the best games ever made. But I’ll tell you this right now: the prospect of not playing this game is far scarier than whatever Inside‘s ominous bad guys have planned for that poor little boy. 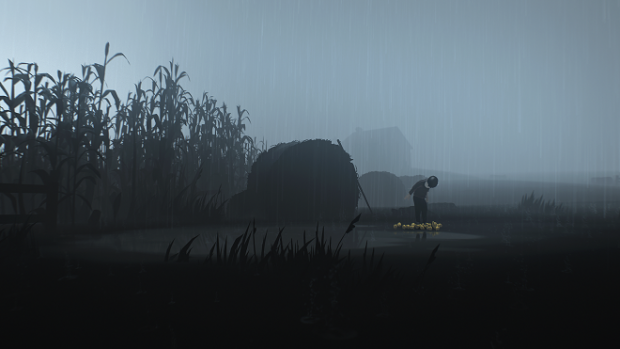 Inside was developed and published by Playdead. 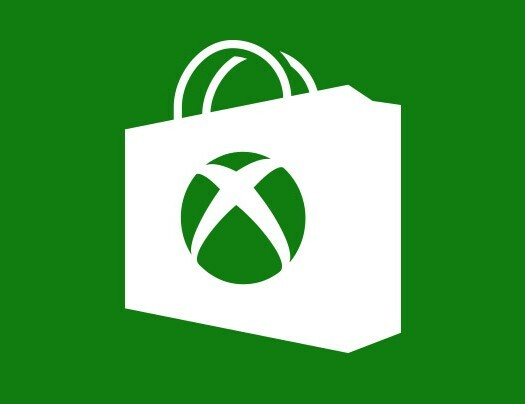 It will release on June 29, 2016 for $19.99. A copy of the game was provided by Playdead for review purposes.